I’ve got a confession TAY. I’m not a fan of Borderlands. I fell asleep watching my sister play once and since then I’ve called it Bored-O-Lands. 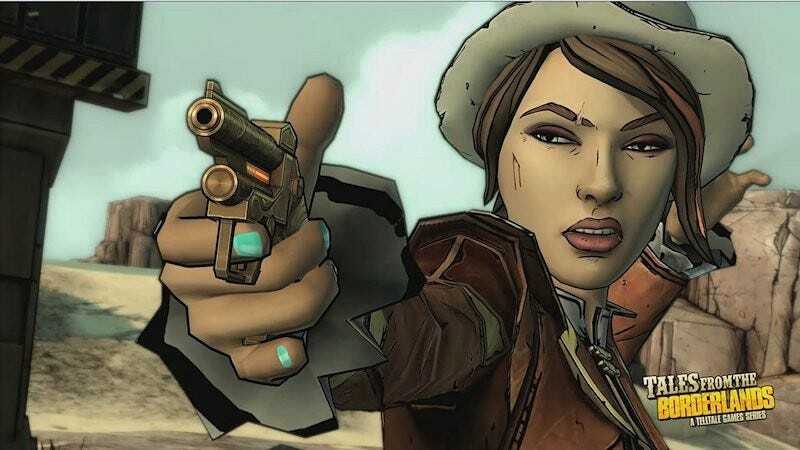 Lo and behold TellTale decides to make a game in this universe and it is my jam! So far I have played episodes I-IV. I care more about these characters way more than I did for those in the Game of Thrones game. I’m hoping the finale holds up to what I’ve played thus far. What’s a series you had given the cold shoulder to and later turned around on it? Maybe a series you fell out of love with? It happens!